A baby's smile starts here. and bodies work is critical. a little anxious (or a lot). whether you know it yet or not. You'll be just fine! Most expectant mothers feel the same anxiety you're feeling. It may help to talk to your doctor or maternity nurse to get answers to your specific questions about the process and what to expect. 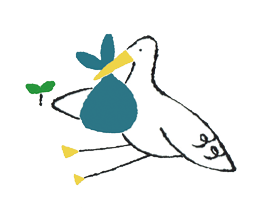 Remind yourself that your baby is in this together and meeting your baby will be a treasure in life. The single most important thing you can do is to stay healthy. 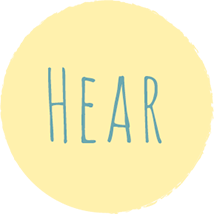 Listen to your body, give it what it needs and take care of yourself. 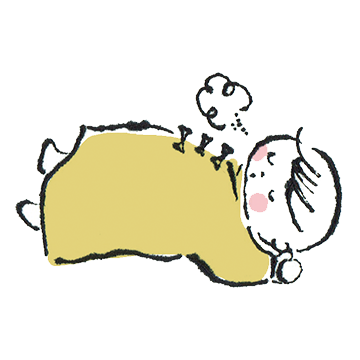 Sleep, eat and exercise in moderation, and always try to keep warm. Do what comes naturally to you so you can enjoy this time in your own way. It's important to touch your baby, look into each other's eyes and play together. There's nothing your baby loves and needs more than your smile. 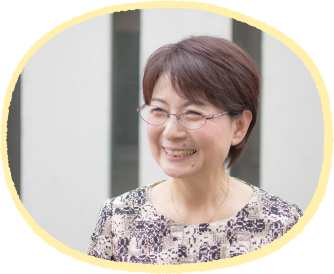 Don't hold to any unrealistic notions about being a "perfect mom." There's no reason to be too hard on yourself. You need support, so don't feel bad about asking for it. Every day is filled with new discoveries and a special kind of happiness. 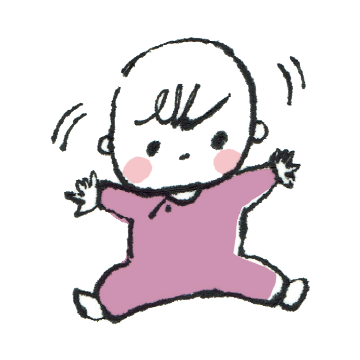 You'll be amazed how fast your baby grows and develops. Take the time to really observe your baby. You'll quickly get attuned to changes and moods. Remember that moms need a little "me time" too. Don't be shy about taking advantage of your support network. You can even look into working with a maternity nurse like me to help you out. loved and well cared for. have finally met face to face. and so is every mother. your family a lifetime of happiness. 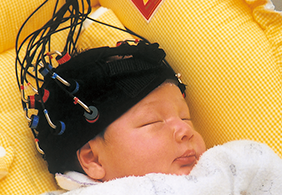 Cultivate curiosity by stimulating your baby's senses. their own and neck muscles are weak. Even the slightest pressure or change in posture can cause unstable breathing. on his or her back. 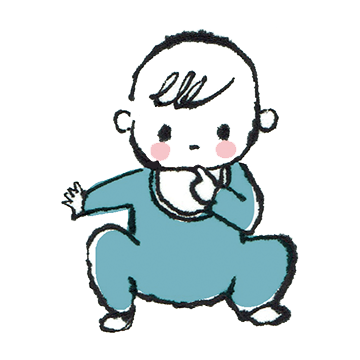 your baby's natural leg movement. from the cold during winter. 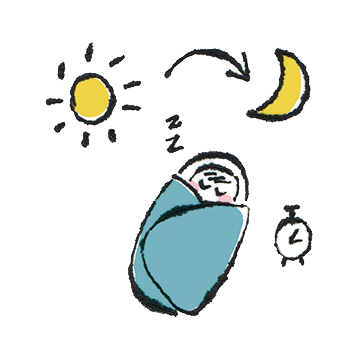 Babies haven't developed a biological clock yet that can tell night from day. a rhythm of sleeping at night. 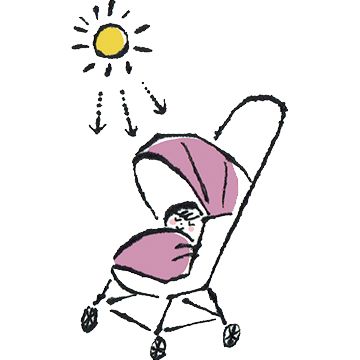 Babies' skin easily dries out and becomes irritated because it is only half as thick as that of adults so protect your baby from direct sunlight and UV rays. 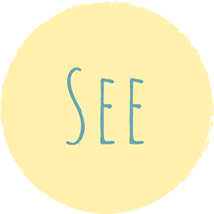 the world through sense of touching. 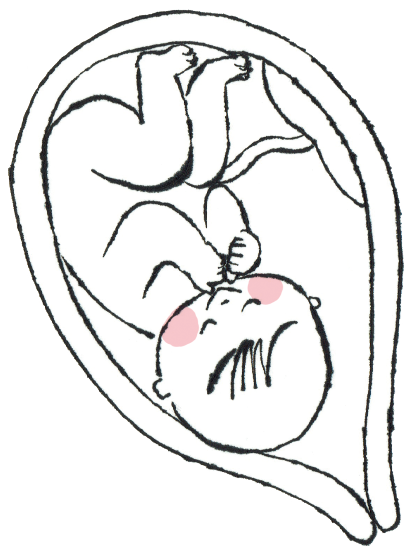 Inside your womb, your unborn baby's senses are already awake. 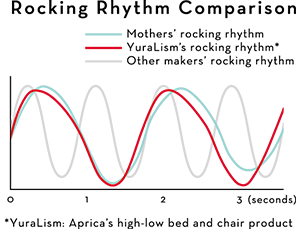 your baby's heart rate will change. 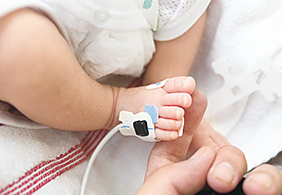 Your baby can hear your heartbeat and blood flow. Your baby' s heart rate will change in response. 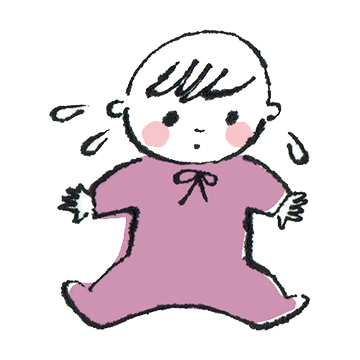 If you drink cold water, your baby may feel uncomfortable and kick you to let you know. 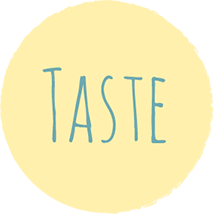 Your baby can distinguish between sweet flavors responding positively by swallowing more, while showing discomfort towards unpleasant taste. Making your baby smile everyday. 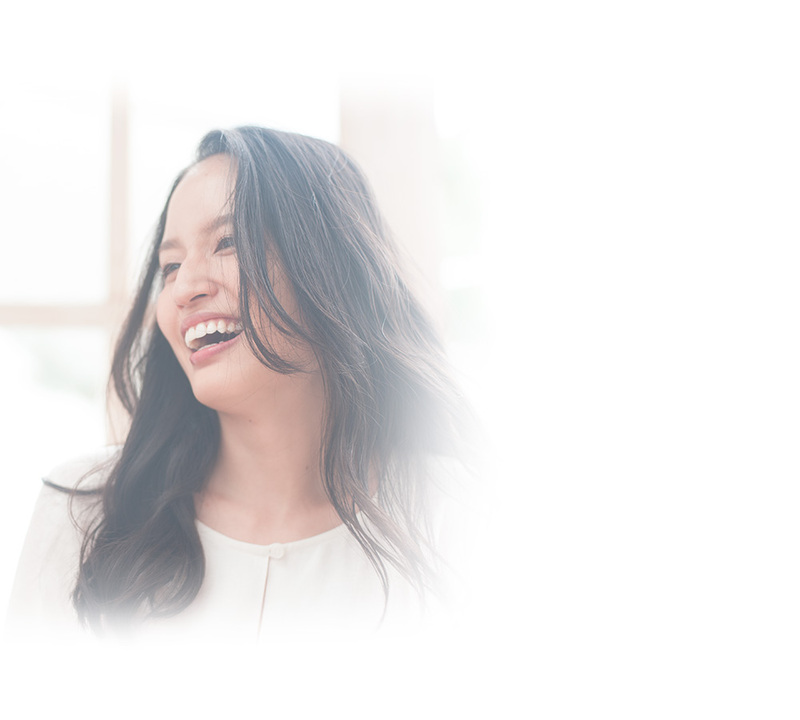 The building blocks of trust are eye contact, cuddling and other physical contact. When your baby cries, you respond. When you speak, your baby smiles. Over time, this builds a sense of trust, security - and self. Newborns try to experience everything with their mouths, while 1-year-olds try to touch everything they come in contact with. 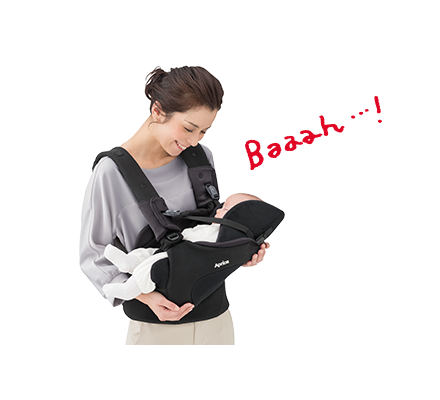 The world is a brand new place for your baby. Encourage natural curiosity by getting out every day (nowhere too loud or overly stimulating, of course). 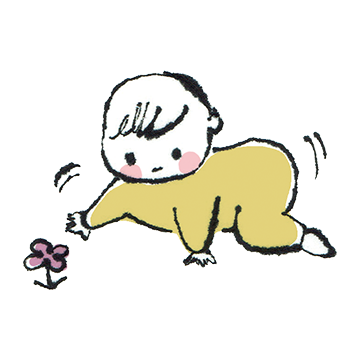 The gentle sights and sounds of nature are perfect for a baby. Smiling is the most basic form of communication. Babies respond to smiles, and generally start smiling at around two months. It's their first step toward communicating and sharing their feelings. You are your baby's world, so you are the starting point for fostering the communication your baby will grow to use with other family members and, eventually, society. 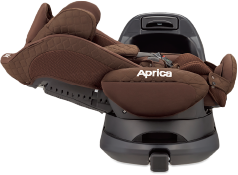 By studying how babies move through data analysis, we determine the ideal amount of space to build into our products to allow free, comfortable and natural movement. 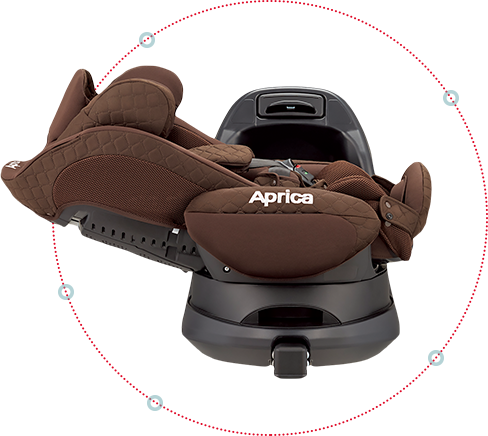 To make sure Aprica products promote the best possible childcare environments, we observe and analyze brain and motor functions. We' re known as experts on childcare environments. One example: Our findings on how posture affects oxygen saturation have become a topic at academic conferences worldwide. 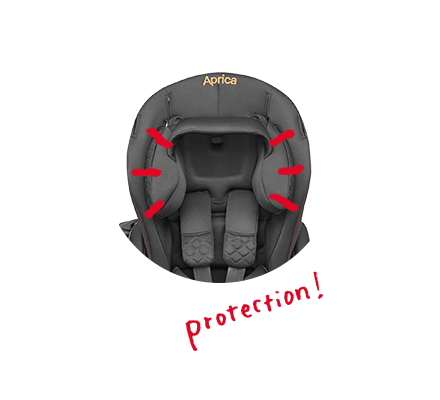 to optimize safety for car seats. 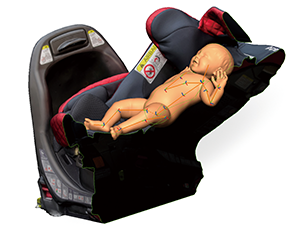 Advanced impact tests, using the latest crash test dummies with sensors, help us create more protective car seats. 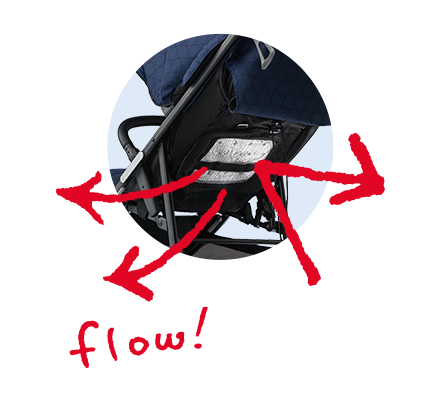 We developed the rocking functions in our High-Low Bed and Chairs by analyzing the way mothers rock their babies. 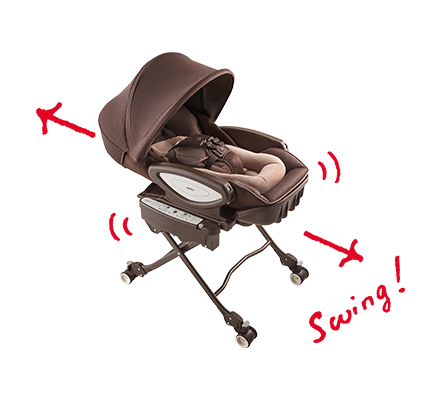 During product development of strollers and car seats, we use digital 3D baby models to verify aspects of baby posture and stability that can't be judged with the naked eye. 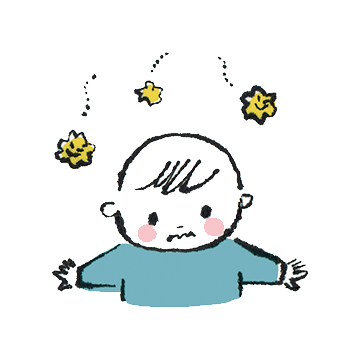 on your baby's air passages and makes abdominal breathing easier. head and stabilize the neck. This also promotes good posture. 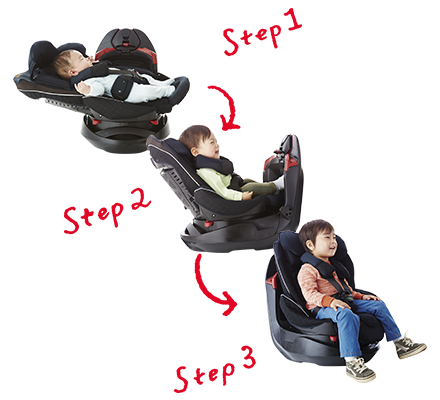 Babies grow fast, so seating is adjustable to their changing size and posture. We also make sure to allow natural movement at every stage. face cultivating trust and curiosity. 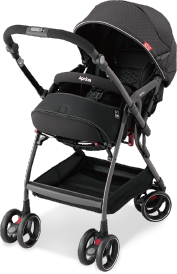 Comfort is really important for a baby, so we focused on reducing vibration and making the best stroller for baby. 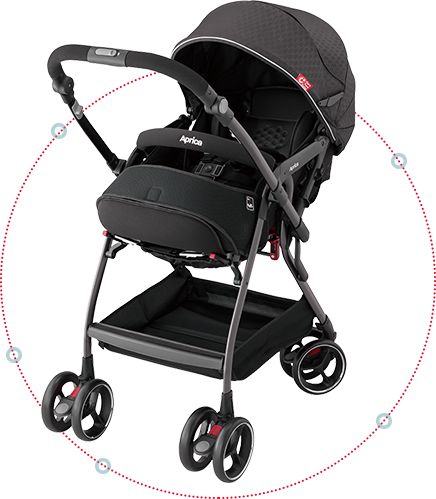 It took a lot of trial and error, but we were able to improve every single detail of the stroller's structure. 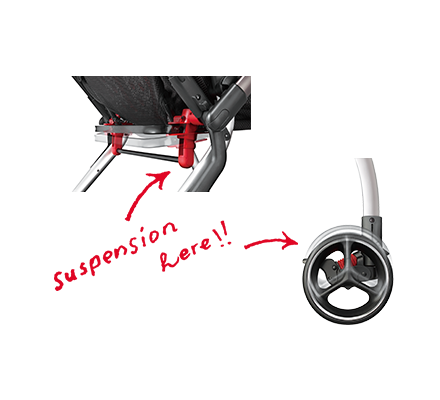 The suspension and seat components now absorb dramatically more vibration. And we didn't stop there. We looked at every element, every feature. 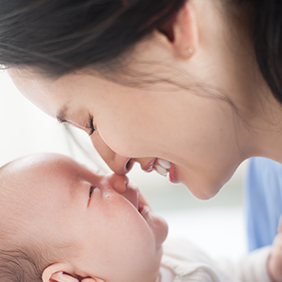 If babies could talk, we think they'd say "Good job." 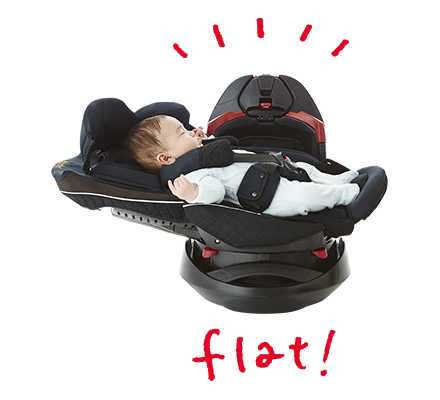 Being in a natural position, even in cars, is important for the development of babies' bodies. 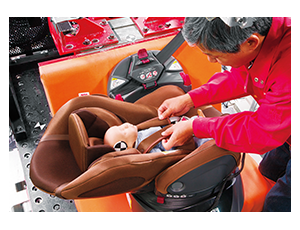 We created a lie flat bed-type car seat that better matches the physical needs of babies while being safe. 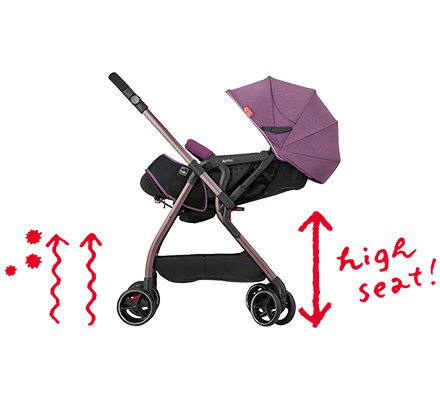 From the moment babies leave the maternity hospital, we're 100% focused on their safety and comfort. That's what every baby and every parent deserves.